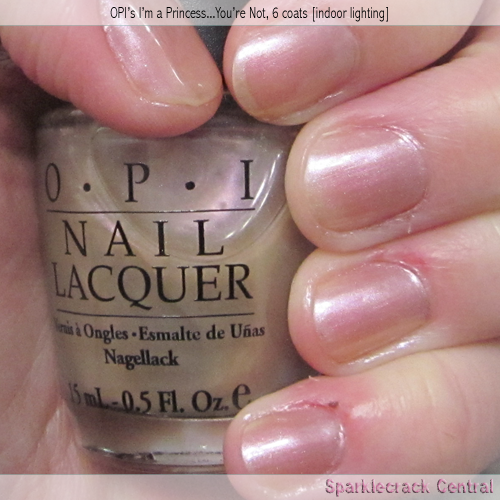 Sparklecrack Central: OPI’s I’m a Princess…You’re Not! 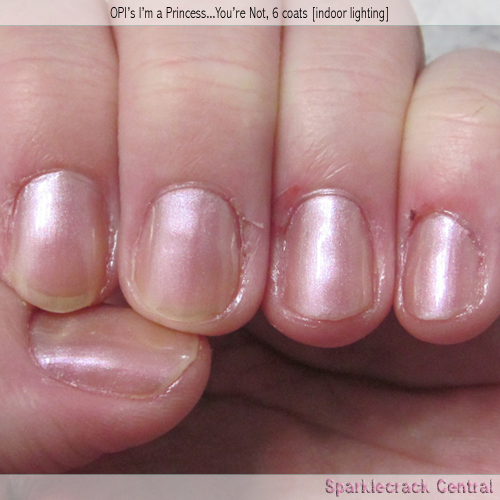 Home > Nail Files > OPI’s I’m a Princess…You’re Not! 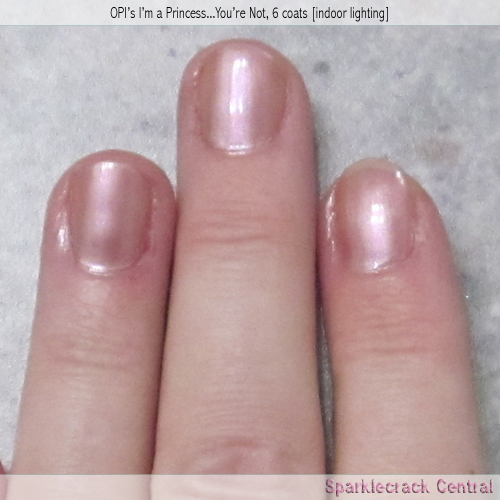 OPI’s I’m a Princess…You’re Not! Availability: ...not quite sure...I think there was a Princess Charming collection? 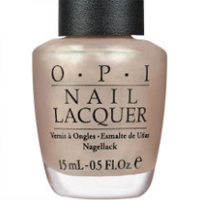 I like polishes that I can use for layering…if I know that they're that sheer when I'm buying them. I was lead to believe that this was semi-sheer, but that after three coats it would show more of the pink and not show quite so much VNL. As you can see, even after six coats (6!!! ), you can see plenty of the nail bed, and very little of the pink iridescence of the pearl finish. 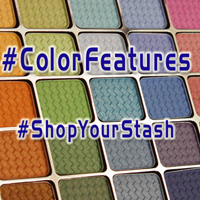 I may find use layering this atop my darkest browns and reds, and possibly a few of the Zoya purples, but don't know if it will be of much value to me.